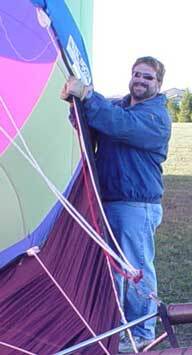 Fly Ohio Ballooning is the only full service commercial ballooning company in Central Ohio. We fly balloons, give hot air balloon rides, sell balloons, repair balloons , inspect balloons for the Federal Aviation Administration, do commercial balloon advertising, give balloon flying lessons and just plain love balloons. We have the experience you should demand for all of your ballooning needs. We have been operating as a commercial ballooning company since 1989 with well over a thousand flights and literally thousands of passengers carried aloft. Our safety record is perfect because safety is always our most important consideration. Ballooning can sometimes be exciting but it should never be dangerous. We have competed in four Unites States National Hot Air Balloon Championships placing as high as fourteenth out of the top one hundred pilots in the nation, something we are very proud of. We have also competed in balloon rallies and done commercial balloon advertising in over a dozen states. 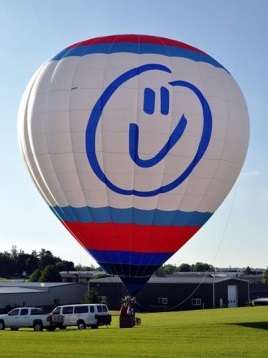 Fly Ohio Ballooning is also proud to be the Central Ohio Dealer of Lindstrand Balloons. 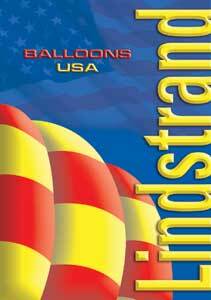 Lindstrand Balloons represents the best in cutting edge technology for the ballooning industry. With Lindstrand it is possible to get superior technology that is still at a competitive price. Fly Ohio Ballooning has experience doing commercial hot air balloon advertising for companies both large and small, from large national corporations such as Kroger to local companies such as Swan Cleaners and Franklin University. Companies that are looking for a terrific method to promote both their company name and image know that Fly Ohio Ballooning is the answer to their advertising needs with full service advertising packages available. The Federal Aviation Administration requires that balloons be inspected on a regular basis and repaired by an FAA certified repair station. Fly Ohio Ballooning is FAA certified repair station IF5R933M. All commercial balloon pilots are also certified to be instructors. If you have a desire to be able leave the bounds of earth and take to the skies yourself in one of these beautiful balloons, you will appreciate the completeness of our training. Hearing the phrase "the best trained pilot I have ever examined" come from an FAA designated pilot examiner after a test flight speaks for itself.